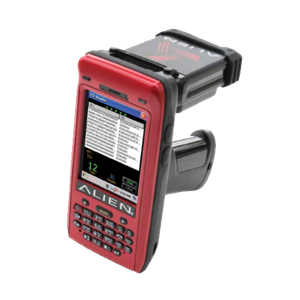 The Alien ALH-9011 enables users to deploy manageable, robust, best-in class EPC Gen 2 RFID solutions for supply chain, manufacturing and asset management applications. 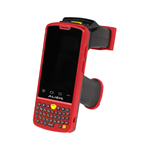 The ALH-9011 is a rugged, compact and lightweight reader with an ergonomic design that provides superior user comfort. 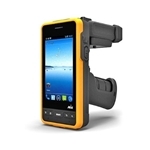 The ALH-9011 has a IP 65 sealing for superior dust and water resistance and also features a 3,000 mAh lithium polymer main battery pack for prolonged usage capabilities. 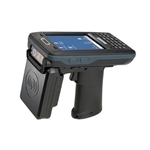 This feature-rich reader delivers exceptional performance with best-in-class receive sensitivity, enhanced interference rejection and a compact ergonomic footprint. The ALH-9011 delivers high read rates for demanding applications in an easy-to-integrate, easy-to-manage, package. 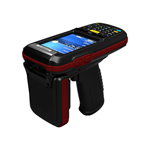 The Alien ALH-9011 Handheld RFID Reader is a high performance, easy to use, easy to manage, and easy to deploy reader. IP 65 sealing for dust and water resistance.